Just like your appetite changes from day to day and meal to meal, so does your little one's. If you notice that your child is cueing that he or she is full or not interested any more, even after a few bites, don't force-feed and pressure him or her to keep going. Your toddler is respecting his or her hunger and fullness cues and so should you. Children are naturally very intuitive eaters, so as frustrating as it is to watch your gourmet meal go to waste, calmly remove it, stick it in a Tupperware container and save it for later. Establish a routine so that meal and snack timing is fairly consistent from day to day. This way your toddler will begin to know and expect when meal and snack times are. It will allow him or her to be hungry at meals (but not starving) and also know that if he or she doesn't finish the meal, there will be another chance to eat in a few hours. Because small children have small stomachs, they should ideally be offered three meals and two or three snacks per day so that they are eating every few hours. Don't let eating be a free-for-all -- it will exhaust you and your toddler will start to learn that he is in charge (YOU should be in charge of timing). As Ellyn Satter, RD (Guru in feeding children) teaches, you as the parent are in charge of what, where and when your toddler or small child eats and the toddler is in charge of whether and how much he or she eats. I know it would be so much easier if we were in charge of everything, but unfortunately, we're not. Also, offer water in between meals and milk at or just after meals (otherwise they may fill up on milk right before their meal and not have much of an appetite). Click here for 7 after-school snacks your kids will love. Part of becoming comfortable with a particular food is exploring it. When you see your child playing with, mushing up, or smearing food all over his or her highchair, consider it a way of your toddler learning more about the food and becoming comfortable enough with it to put it in his or her mouth. My son often tries a new food but then spits it out, only to put it back in his mouth if it is up to his satisfaction. Lovely, I know. It's his way of feeling safe with it though, so we are trying to just go with it. Sometimes it ends up on the floor, in his hair, or smeared on his highchair, but that's all part of it I guess! 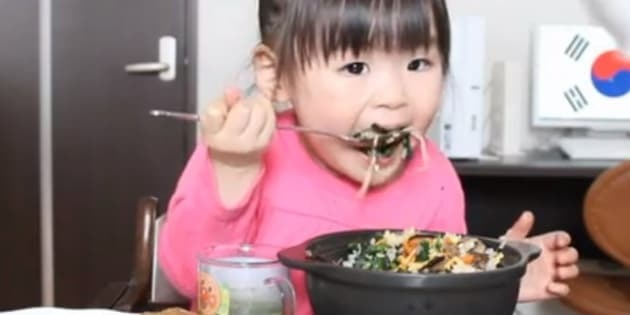 You don't want to pressure your child into eating something that he or she is not yet totally comfortable with--the more you pressure, the more she will be turned off (children are smarter than we think!). Allow a warming-up period. Let your baby, toddler, or child try new foods without pressure. Once you start rewarding your child with certain foods, or praising your child for eating other foods, you are starting to teach your toddler to associate certain foods as "good" and certain as "bad." If you praise your children for eating broccoli, they is going to start to wonder what the big deal is...and then if you reward them with a cookie (after they've finished their broccoli), they will soon come to learn that cookies are the sought after "yummy" food and broccoli is "yucky." Click here for a healthy and fun breakfast your kids will devour. It may take up to 20 tries before your toddler accepts a new food. I know that it's tempting to skip right to the accepted and safe food at meal times -- trust me -- but he is not going to learn or have the opportunity to become comfortable with a food unless it's introduced many times in a pressure-free environment. It's frustrating and may feel like a waste, but it's key to molding a balanced healthy eater. Try serving new or previously rejected foods with accepted, safe foods -- your child may warm up to them quicker this way. And a quick note on vegetables: if your child refuses to eat vegetables (which is common), know that she is likely receiving similar nutrients from fruit (phewf!). That being said, continue to offer a variety of veggies in different shapes, textures, and colours. It's important that your child sees that you enjoy a variety of foods every day so that he or she will start to learn that this is normal. Family meals are key -- at least one a day. Try not to hover over your children while they're eating. Imagine someone doing that to you! Try instead to include them in the family conversation and treat them the same as everyone else (even though every part of you wants to hover over them and shove food in their mouth). If you're really concerned about your toddler's or preschooler's picky eating habits and nutritional intake, keep a one-week food dairy. Most toddlers will not let themselves go hungry. If they fall short on calories one day, they will likely make up for it the next day. Throughout the course of a day, you may worry that your toddler is only eating one or two foods. But over the course of a week, they are likely eating a more balanced diet than you thought. The point is, it would be unusual if your toddler wasn't a picky eater to some extent. Try not to obsess or stress about it (trust me, I know it's hard). Most picky toddlers grow to accept and eat a variety of foods. If you're concerned about your toddlers growth or development, consult your doctor or a dietician to explore further.